5/15/15 Curious! 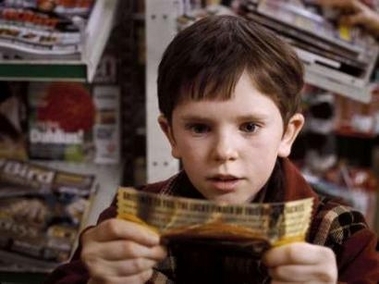 We were given the Golden Ticket, as requested, to enter play land and entered the House of Mirrors only to scare ourselves and try to give the ticket back. Be careful what you ask for; you just might get it. The ego is your ticket in. The ego provides you with the veil of separation. The ego is a part of you, a gift from Source. You seek to free yourself from the ego. You often try meditation and other methods to escape its grasp. This is the dilemma you find yourself in. The ego was needed to experience this aspect of Life. Now the ego is seen as your nemesis at times, in the way of seeking Oneness. Relax your ideas of the ego. You are in harmony with All That Is as long as you believe you are. Your ego is a part of you and, as such, is to be embraced for what it is. Being opposed to the ego is opposing a part of your self. It is a form of self-destruction. This does not build harmony and unity; it only furthers to create a larger problem for you. It creates a wider gap in your understanding. It is a disservice to yourself and your goals. The ego will do exactly as you believe is needed. As you believe in separation, it mirrors separation for you. The more you believe in separation, the more it highlights that separation. The ego will continue to show all aspects of separation as you believe it, including separation between you and the ego. But, like all of Life, you create your beliefs. As you believe in Oneness and harmony, you will create it into your reality. The ego will become a part of that. The ego will indulge your desire and become a part of Oneness with you. You will see through its veil of separation to understand its role in the Divine plan. You will see the ego as a part of you doing as you will. Your ego will mirror and reflect your beliefs back to you through your interpretations and judgments of what you sense around you (through sight, sound, touch, taste…). Your ego will help you see yourself as separate, and through separation, you are able to judge others. Judging others is a useful tool when understanding the concepts of projecting and mirroring. You project onto others that which you have inside you. You project onto others what you know about yourself. What you see in yourself and judge negatively, you will see in others and judge negatively. What you see in yourself and judge positively, you will see in others. Mirroring is the process of seeing an aspect of yourself in another. Seeing some aspect of another that you judge negatively is a process where you are seeing a reflection of that aspect in yourself. What you notice in others is a reflection, mirroring back what you project from yourself. Do you notice things about others that you judge positive or negative? What does that say about your outlook on life? If you are filled with doubt and negativity, what do you usually see in others? If you are filled with joy and a positive view of Life, what do you see in others? Do you know people like each example? Notice how you act and talk about that which is on your mind. Think about this the next time you notice any aspect of another. Ask yourself what that says about you. Notice any similarities between what you judged in another, good or bad, and how you judge that in yourself. Mirroring is a great tool to use in working on yourself. You can use this to be aware of your thoughts about yourself. As you see another and judge that person, know you are judging you. As you speak out on an issue or topic, know you are revealing a part of yourself. Mirroring works because We are One. Mirroring shows you to you through another. The other person is One with you. They are an extension of you. The other person is there for you because you are One. This works because you see all of physicality as you choose to see it. You focus on things you choose to focus on. You do not see things as they are. You live in a world of illusion where you create as you go. You quite literally make it up as you go. Projection works because others are One with you and allow you to project onto them what you see in yourself. Because you are One with them, this is an extension of seeing it in yourself, but in a physical way outside of yourself. Projecting places that which you want to examine inside you, outside of you, so can see it from all angles. You can give it a good looking over. You can examine it, judge it, analyze it and decide if it is for you. You then can choose to create it again inside you, or choose differently. This is your connection to Source. You are One with Source, All That Is. As a part of All That Is, you can create as you desire, choose as you desire and then choose again. If you like reading this material, you can now get Spirit’s Daily Inspirations, a few sentences, right to your inbox every morning to start your day focusing on creating what you want. …and its FREE. What a concept! 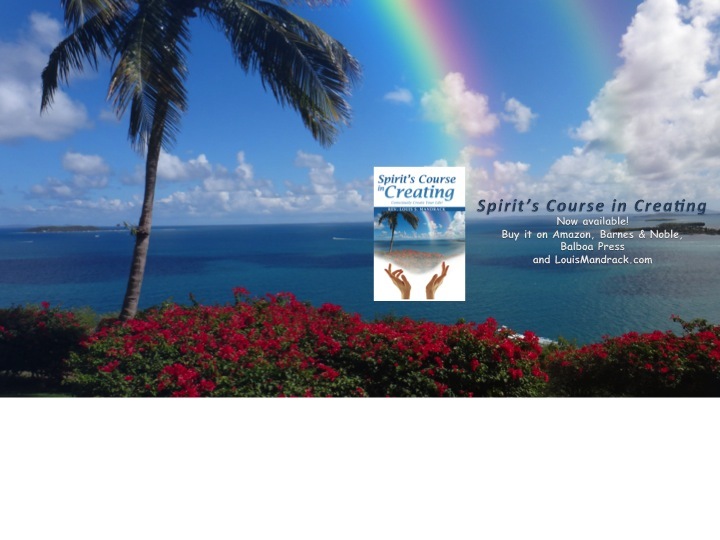 All information excerpted from the book Spirit’s Course in Creating. ← Why choose the ego? Lou Mandrack on Is Life happening to me or can I control it?